I found many Ambedkarites/ Communists/ Atheists/ Muslims/ Christians and confused persons using abusive language against Manu Smriti. They were depicting Manu Maharishi as caste system and biased against women-hood. I found this propaganda more sort of political rather than social. So, i decided to write this article to debunk the myth that Manu Smriti is biased for women-hood. He concludes that the Manu Smriti we read today is not as originally laid down by Swayambhu Manu, the first Chief of Humanity. 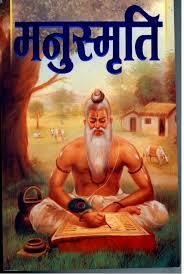 As it now is, he found the text as self contradictory and against the values espoused in Vedas, and hence injudicious. He therefore rejects those prejudicial texts which advocate discrimination against populations with alleged inferior status. Thus, Manu speaks of wise and noble ideas for women-hood. whatever misquotes we come across against Women-hood are from adulterated portion of Manu Smriti for which Maharishi Manu is no where responsible.